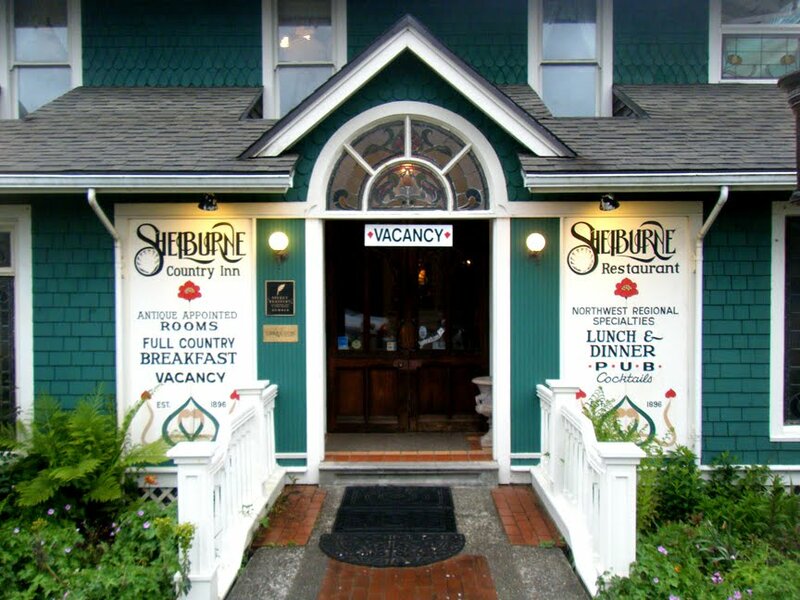 The Shelburne Inn has been operating continuously since 1896, which makes it the oldest continually running hotel in the state of Washington, according to David Campiche, who has owned it with Laurie Anderson for the last 33 years. And indeed this is confirmed in a proclamation by the state of Washington from the inn's 100th anniversary in 1996. In 1911 the structure was hauled across the street by a team of horses and joined with another building. 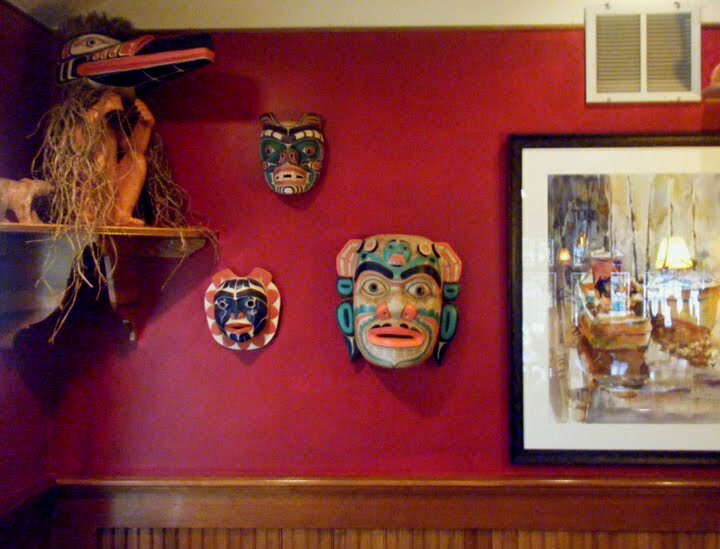 About 70 years later, one of David's and Laurie's remodels added the current structure of the small pub, along with the art deco stained glass windows from the late 1800s and salvaged from a church in Morecambe, England that was to be demolished. 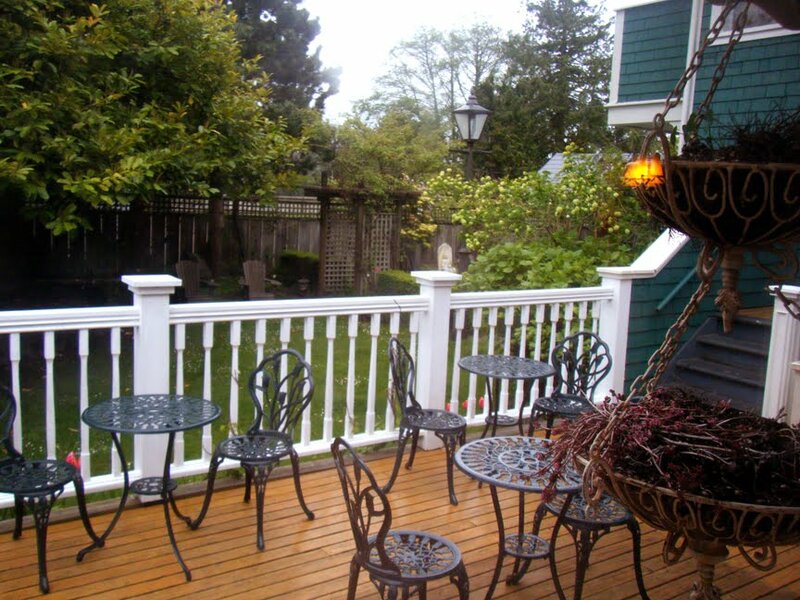 The building, decor, and gardens are all a tad too precious for my personal tastes, but you'll find good food, good wine, and good conversation there. I had a very pleasant chat with David in the pub, ranging from art history (David has a degree in it), to his family history with the sea, to the watching his roof blow up the hill in the 140mph winds of December 2008. 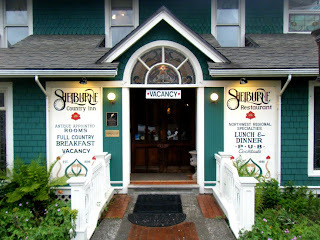 As a former Long Beach girl I have great memories of the Shelbourne. I had dinner there the night of my first formal dance, and my best friend threw a fabulous wedding reception at the Inn. We took over the whole place, with the exception of one room where an unsuspecting couple was trying to "get away." I think in the end they joined our party. The rooms are a bit frilly, but the beds are great and each has a private bath. Unless there is a band downstairs (which they really never allow) it is a quiet restful place.